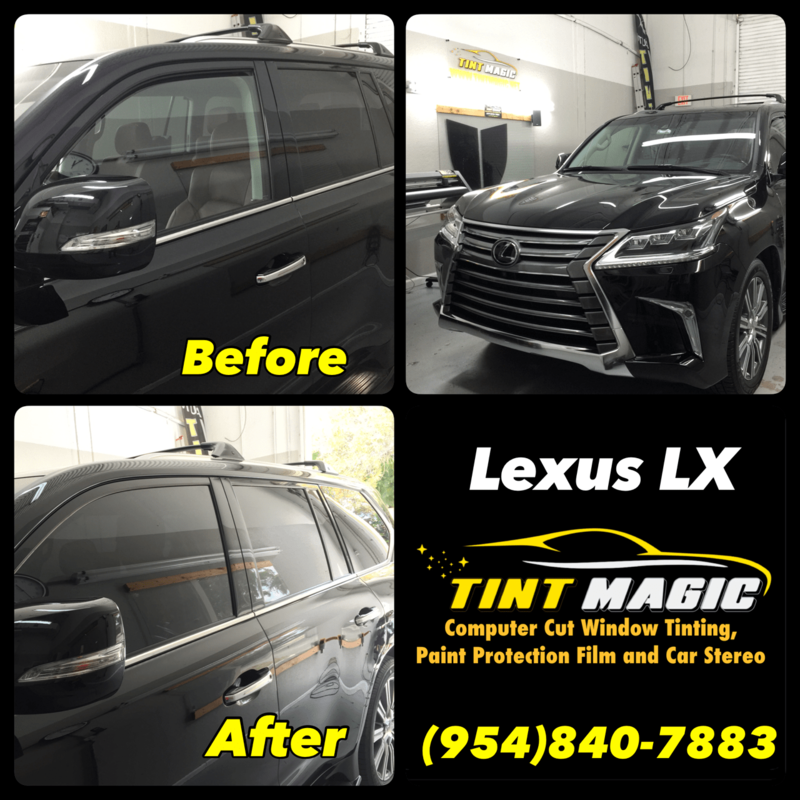 Lexus LX at Tint Magic Window Tinting Coral Springs, we use computer cut to pre-cut window film before installation. 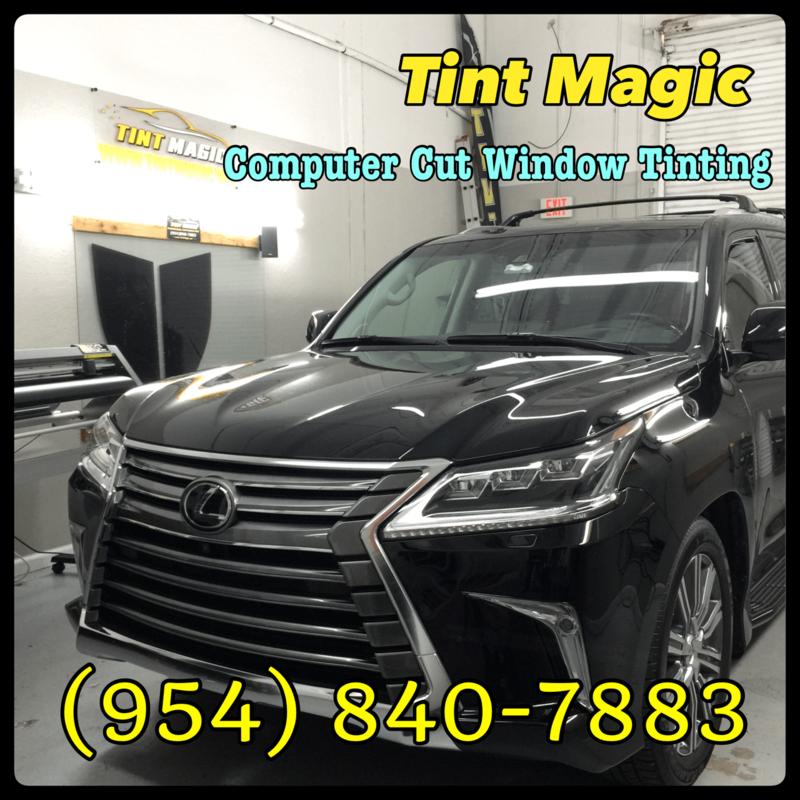 We have installed Llumar CTX Ceramic window film in 2 front windows for the best heat rejection and 99% UV protection. Call us for a free estimate! (954) 840-7883. We are located at 11344 Wiles Road coral Springs, Fl 33076. It’s smooth, upscale, and imposing, but the LX’s heavy steering, dismal braking, and questionable towing capability are tradeoffs its rivals don’t force you to make. The cabin is a classy place for eight, featuring many modern conveniences like a 12.3-inch touchscreen infotainment system, adaptive cruise control, park assist, and optional rear-seat DVD entertainment. A 5.7-liter V-8 makes 383 hp and is mated to a silky eight-speed automatic transmission; full-time four-wheel drive is standard. The number portion of this Lexus’s badge—570—has to do with engine displacement, but the more significant numeral for this behemoth of the Lexus lineup is 6206. That’s the weight in pounds of this poshed-up Toyota Land Cruiser. And while that description sounds dismissive, the LX570’s posh is very posh indeed—and by far this big bopper’s strongest suit. Other elements of the driving experience—power, towing, dynamic behavior—are not so pleasing. The fundamentals: As noted, the LX is basically a truck, sharing its frame with the Toyota Tundra and the Land Cruiser. The body is married to the frame late in the assembly process. Body-on-frame construction has a reputation for ruggedness among off-roaders and truckers; such a structure, generally speaking, has been capable of absorbing more punishment than a unibody, particularly in the trackless outback. This is becoming debatable, as unibody vehicles have grown stiffer and stronger, but traditionalists hold to the principle. However, body-on-frame vehicles also tend to be heavier, and the likelihood of any individual LX570 owner taking this rig off the pavement and into the wilds is low. Land Cruisers see a lot of dirty driving, particularly in Africa and the Middle East, but the same can’t be said for their upscale Lexus siblings.